In Kootenai Country Montana, we have our own wilderness. Like a necklace of jewels alpine lakes are remote but accessible. Glacial carved mountain peaks shadow glaciers like our Blackwell glacier that sits just north below Snowshoe Peak at 8,738 feet. Other glacial snowfields are present near Little Ibex Lake, and Elephant Peak and hikers may find patches of snow throughout the summer in the higher country. Miraculously, this string of gems is surrounded by lush forests influenced by the Modified Pacific Maritime Climate. High alpine habitats are core and connective corridors for unique species like wolverine, Canadian lynx, pica, bighorn sheep, mountain goat, boreal owl, grizzly bear, pine marten, gray wolf, and often Rocky Mountain elk. The ungulate base also broadens as deer family members utilize the mid elevation western larch and Douglas-fir forests at lower elevations. Mule and whitetail deer, elk, moose, and historically woodland caribou move into south and west facing slopes with ample browse species and grass/sedge openings in the fall. The Cabinet Mountain Wilderness is a 35-mile-long range of glaciated peaks and valleys with two main ridges trending north and south. These two ridges are divided by Lake Creek flowing north to the Kootenai River and Bull River flowing south to the Clark Fork River. Elevations range from a low of 2, 880 feet to 8,738 feet atop Snowshoe Peak. The Cabinets were designated a Primitive Area in 1935, and the 94, 272-acre area then became part of the National Wilderness Act of 1964 which defined wilderness as "an area where the earth and its community of life are untrammeled by man, where man himself is a visitor who does not remain." The name of the range comes from early French fur traders and explorers who noted the rock formations along the Clark Fork River looked like boxes or cabinets. 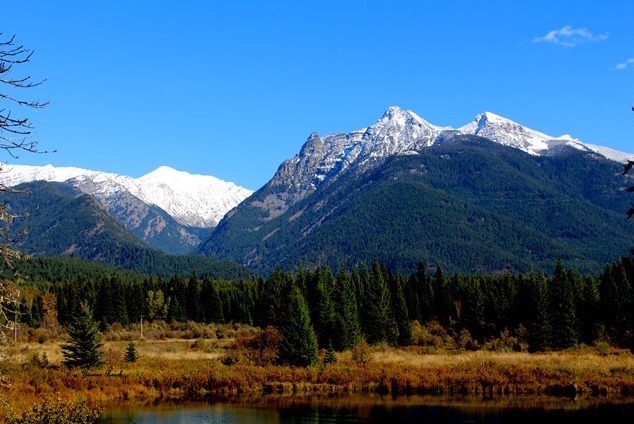 The Cabinet Mountain range historically have had use through time by the Kootenai Indians who hunted the prized mountain goat for its pelt and rich food source as was the woodland caribou. Plants adapted to higher altitudes were gathered for food and medicines. Explorer David Thompson, called "He who looks at the stars" by indigenous people, passed through the area in 1808 and Euro Americans began mining activities in the 1880’s. Clean and pure water rated among the top 5-percent in the lower 48-states flows from the Cabinets. 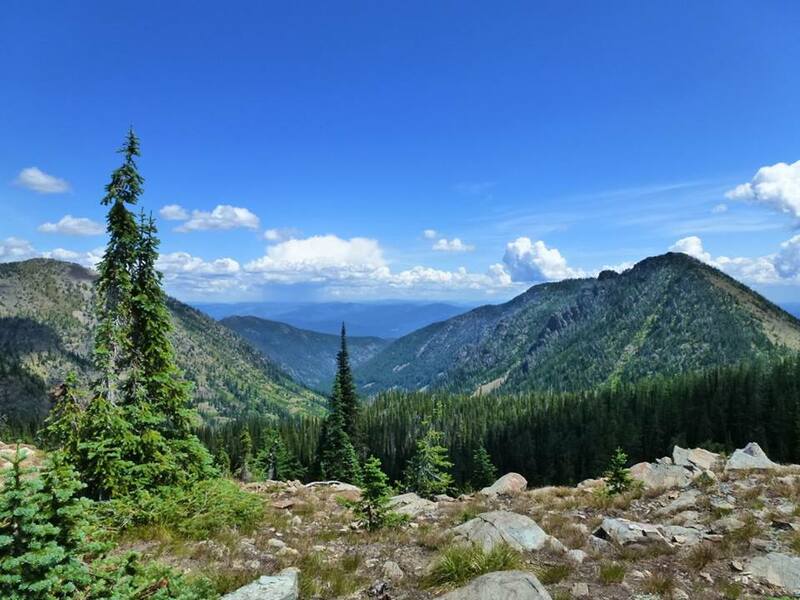 Wilderness scenes include ridge top panoramas, turquoise colored alpine lakes, rich and stunning wildlife action scenes, colorful wildflowers, and rushing waters. Cloudscapes are fantastic, but snowstorms may occur as late as July and as early as September. Some areas provide opportunities for back country skiing, but avalanche danger occurs in winter and spring so please exercise extreme caution there. There are approximately 94-miles of trails that are generally marked, some which form loops while others end at alpine lakes. Some peaks are climbed without technical gear, but others require it. Trail difficulty ranges from relatively easy to extremely strenuous. The north end offers interconnected trails for convenient loop hikes. The central portion is entirely one way, in and out the same routes. The south end offers some loops, with a few passes over to the west face of the Cabinets for the more serious travelers. 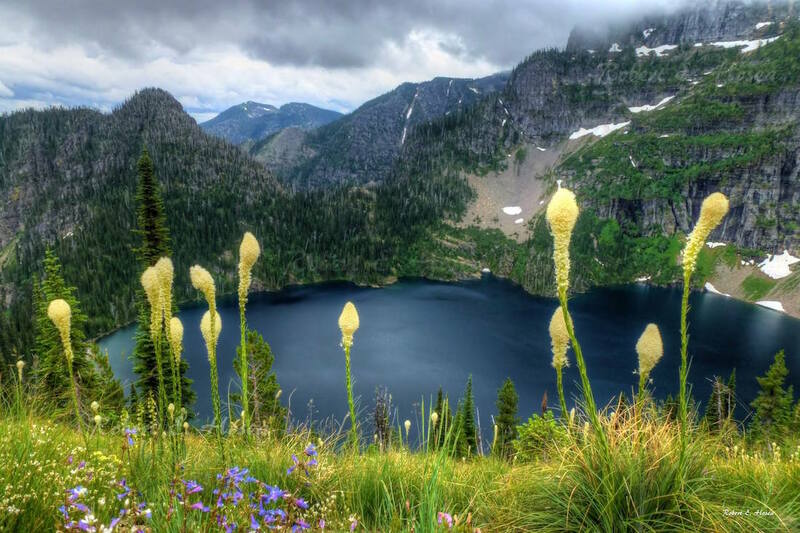 The primary access to the Cabinet Mountain Wilderness is from Libby, Montana. So come join us in our little corner of Kootenai Country Montana! 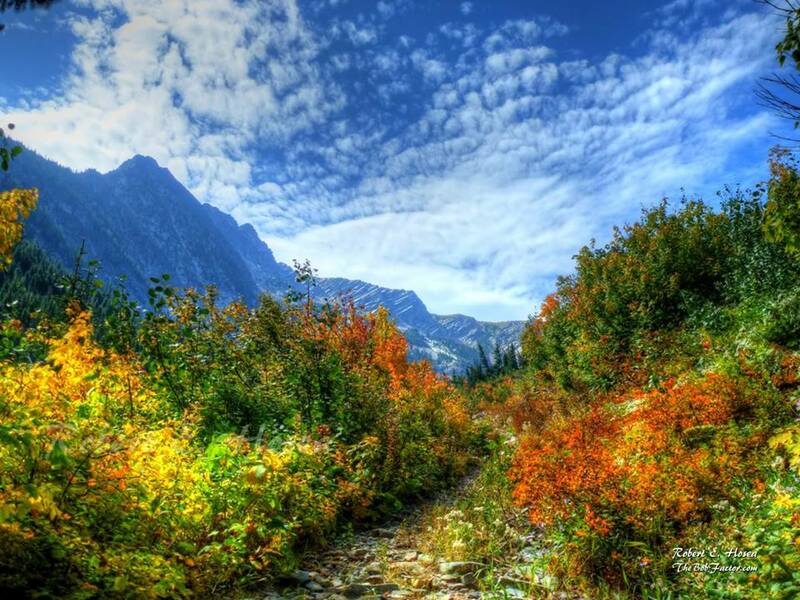 Stay at Libby’s finest — The Venture Inn — and check out our Cabinet Mountain Wilderness. Conservation groups offer free hikes into the area, and our guides and outfitters are some of the best in the state! Enjoy the pristine wilderness, the solitude and the remoteness of our area, and the hospitality of our few but friendly folks!